The hunt is on! Agents have hired out the infamous Redcaps to raid along the Hruesen River and Baron Botkin wants them brought to justice. The trail is growing cold and the evil doers are desperate and in hiding somewhere in the Barren Wood in those dangerous thorpes near the Slag Heap – an ancient complex of unknown origin and terrifying reputation. The men of the Barren Wood are fierce, independent and distrustful of outsiders. Facing them is a daunting task in the best of times and now they seem to be protecting one of their own. Or are they? 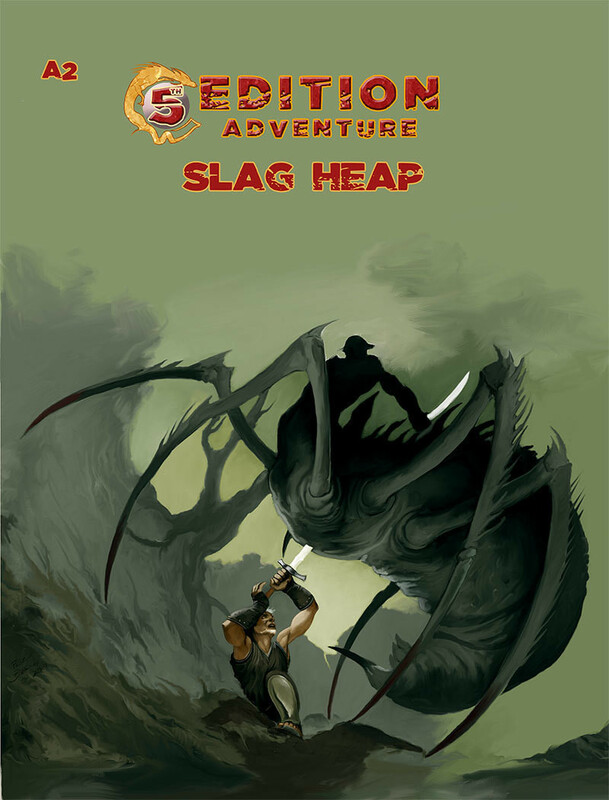 Discovering the real powers in this region only brings the characters closer to doom as they travel to piles and heaps of slag and detritus surrounding a ancient and abandoned mine called the Slag Heap. For 3‑5 characters, levels 2‑4.The Adventure continues!